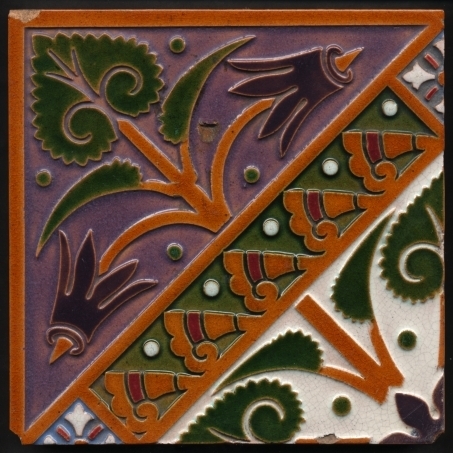 We are always looking for good tiles for stock, especially art nouveau tiles in rich colours and in very good or better condition. 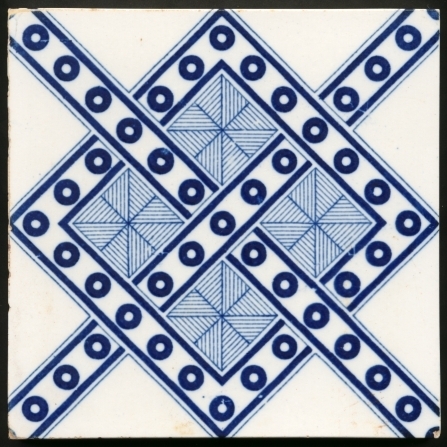 We need small images to identify the tiles and if of interest may ask for larger images to better assess condition. We also need to know your asking price(s), we no longer make offers unless the tiles are in our hands as it seemed that inevitably when we made remote offers the tiles ended up on eBay and we can not offer a worldwide free valuation service for the benefit of dealers and eBay sellers. Local auctioneers are usually quite well up to speed and will give a fair appraisement of what tiles will sell for in their saleroom at their regular free valuation sessions. We will usually match or exceed auctioneers valuations on tiles that we are interested in and pay immediately without deductions or commissions. We will buy whole collections including tiles of little interest to us provided that there are sufficient that are of interest. Please email us with images in a standard format like JPEG or PNG from which we can usually identify if the tiles are of interest, please do not send propreiary formats such as .doc files. We do not buy floor tiles. We will consider exchanges and part-exchanges, for example if you have a fireplace or washstand you wish to keep but the tiles don't suit or if you are a collector. 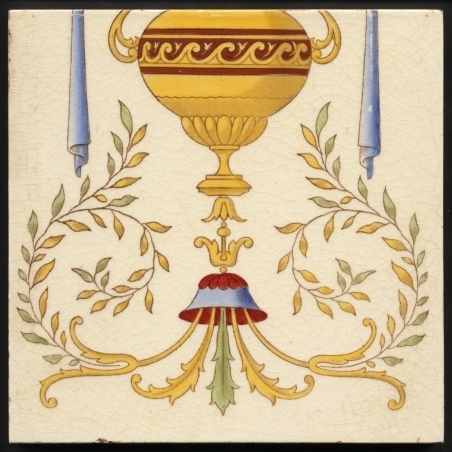 We are urgently seeking two tiles to complete panels, one of the print & tint and three of the majolica. 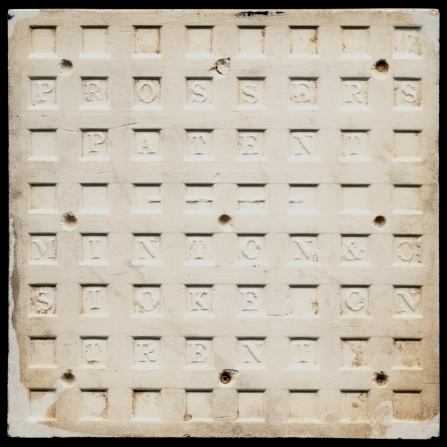 Also one of this pattern, it must be Minton & Co. Prosser's Patent not the later Mintons copy. We are keen to buy original catalogues from tile makers and distributors and others that contain tiles such as fireplace and hardware catalogues.